Known throughout the world for its exceptional environmental beauty and artistic heritage, Tuscany rightly owes its fame to its fine museum-cities and picturesque hills, but all you need to do is push on a few km to the west to discover an unexpected, very varied coastal heritage. Your surprise will increase as you travel along the almost 400 km of continental coast, which from well-known, sparkling Versilia slips down to the wild coastline of the Argentario. Summer is beckoning and as dauntless explorers, we aim to trace for you the routes of your next sea vacation. To help you choose your next venue, here is a map of the most beautiful beaches in Tuscany, with useful details on accessibility and physical features. 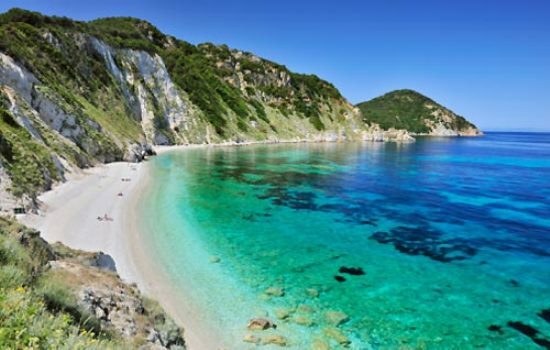 Practical and colourful, our info sheet Best Beaches in Tuscany pinpoints the 35 most beautiful beaches of the Tuscan coast, highlighting the best 15. Let’s take a look at the Top 15. Among the most popular destinations along the coast, Forte dei Marmi is the symbol of Versilia, with its ample, well-equipped beaches, stylish Lidos and a lively night life along the shore esplanade. Historically a haunt of great industrialists and aristocrats, it remains a reference point for the international jet set. 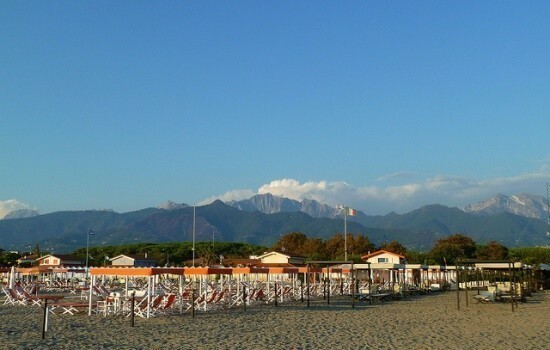 Set between Marina di Pietrasanta and Viareggio, the Lido di Camaiore is a long beach of fine golden sand, offering a spectacular view towards the Apuan Alps. It boasts a lively esplanade with a host of shops, bars and restaurants. 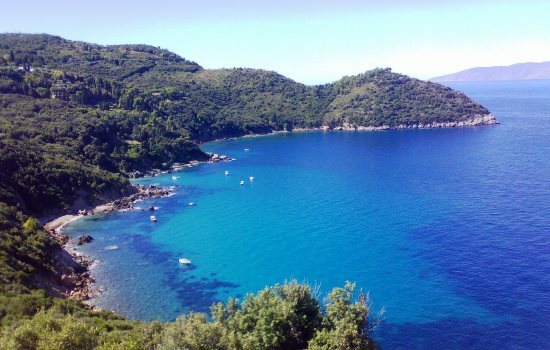 A truly fascinating tourist resort, Quercianella offers rocky stretches, gravel beaches and silent coves backed by lush vegetation. Its tourist port offers handy boat moorings and its rich sea depths act as a magnet for snorkelers and scuba divers. Set against a backdrop of unspoilt nature, the beaches of the Baratti Gulf are just a short distance from important Etruscan and Roman remains. 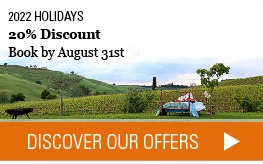 Put it at the top of your ‘not to be missed’ list – it offers the best of the Etruscan Coast. The undisputed symbol of Grosseto’s Maremma, Cala Violina is a pearl set amidst the lush plant growth of the Nature Reserve of Bandite di Scarlino. 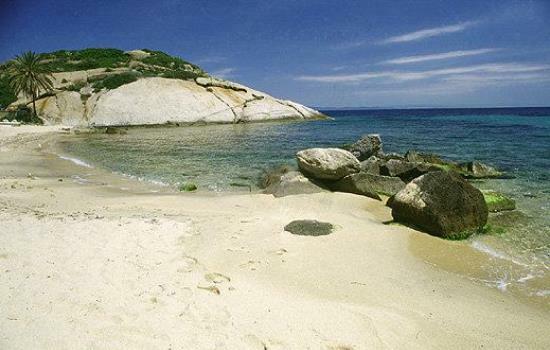 Beautiful and unspoilt, the beach is accessible only on foot or by mountain bike. Le Rocchette is a stretch of rocky coast which lies at the foot of a promontory dominated by an ancient castle. The bathing area, much appreciated for its crystal-clear waters, opens towards a long sandy beach, equipped with sun loungers and beach umbrellas. 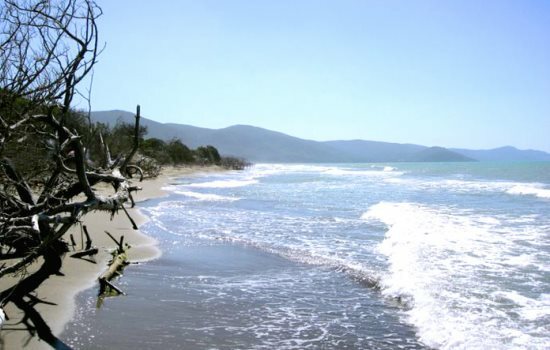 A long beach of fine grey sand accessible through the Maremma Nature Park, Marina di Alberese is marked by the fascinating presence of dead wood which is not removed as this is a protected area. The beach looks out over clear seas and gives visitors the opportunity to come across wildlife in its habitat. A small medieval hamlet set atop a promontory looking out over the sea, Talamone offers a rocky coastline dotted with small bays to the north and a sandy shore bordered by pine woods to the south. Exposed to strong winds, it is an excellent venue for windsurfers and kite surfers. 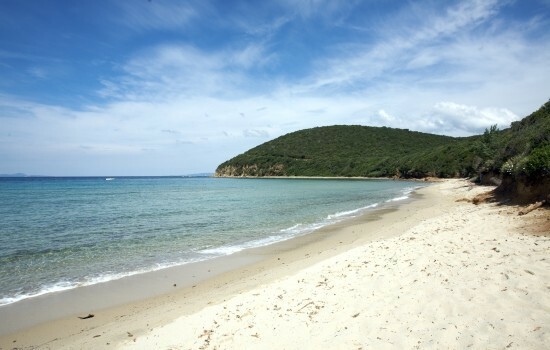 A crescent of sand on the narrow tongue of land linking the Argentario to continental Tuscany, Feniglia is a well-equipped beach with a host of services. Visitors will be pleasantly surprised by the surrounding natural environment: a thick pine wood, stretches of Mediterranean brush and coastal dunes. Purgatorio is a beautiful rocky beach on the Argentario, reached after a thirty minutes’ walk through Mediterranean brush. If you prefer to reach it by sea, you can explore the small hidden bays dotting the coast. Amongst the most beautiful beaches of the Argentario, Cala del Gesso is made up of small pebbles and fronts the islet of Argentarola, and is set in a splendid panoramic position. To reach the beach, you must take a steeply sloping path, about 700 m long. Set in the centre of the northern coast of the Island of Elba, the Sansone beach is a beautiful stretch of white gravel, framed by spectacular rock formations dropping sheer into the sea. Access is not easy (taking about 10 minutes) and this means the beach is always peaceful and never crowded. This beach lies on the gulf of the same name and is universally thought to be one of the most beautiful on the island, with its fine white sand, crystal-clear waters and a splendid backdrop of luxuriant plant life. 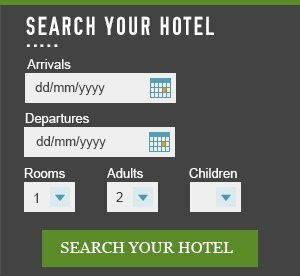 Its shallow waters and a host of services make it an excellent choice for families with kids. The southernmost tip of the Island of Capraia is a fascinating corner where you will find the light coloured rocks of the Zenobito, the beautiful rock wall which gives its name to the bay and its intensely blue waters. As a result of this wonderful palette of colours, it is much loved by snorkelers and photo buffs. A small beach set on the eastern side of the Island of Giglio, Arenella is a beautiful bay reminiscent of the Caribbean, set between two looming rocky bluffs. Clear waters and fascinating sea depths make it ideal for snorkelers and scuba divers.